Kaitlin Bove is a second year doctoral student at the University of Kentucky where she is completing a Doctorate of Musical Arts in Wind Conducting. She is a conducting student of Cody Birdwell and a teaching assistant with the concert bands, athletic bands, and undergraduate conducting program. Kaitlin will complete her studies in the spring of 2019 with a dissertation on her wind band transcription process of Caroline Shaw’s Partita for 8 Voices (Pulitzer Prize, 2013). The work will be premiered with the University of Kentucky Wind Symphony in March of 2019. Kaitlin earned her Bachelor and Master of Music degrees in Education from the University of the Pacific in Stockton, California where she studied with Eric Hammer. In addition, she held the position of Graduate Assistant of Bands during her master’s coursework and was Interim Director of the University Concert Band in Spring 2012. Ms. Bove served as Director of Bands at Payson High School and Director of Bands and Orchestras at Mt. Nebo Junior High School in Payson, Utah. She received a CBDNA Mike Moss Conducting Grant in 2018 and is a member of National Band Association, College Band Directors National Association, and Women Band Directors International. Adam Collins has served as Director of Bands at Berkley High School since 2017. As a 2014 graduate of Eastern Michigan University, with a bachelor's degree in Instrumental Music Education, Mr. Collins completed his student teaching with Ed Lucius at Thurston High School, in Redford, Michigan. Before his appointment as Director of Bands at Berkley High School, Mr. Collins spent three years as Director of Bands at Ypsilanti Community High School. Mr. Collins has performed in several concert and marching ensembles, including the Troopers Drum and Bugle Corps, the KKY/TBS National Intercollegiate Band, The Ypsilanti Symphony Orchestra, Royal Oak Symphony Orchestra, and is currently a member of the University of Michigan Life Sciences Orchestra, Southeastern Michigan Wind Ensemble, and the Something Singers Choir. Cliff Croomes is a Graduate Assistant for the Louisiana State University Department of Bands. He is in his second year of a Doctor of Musical Arts degree after earning his Master of Music degree in 2017 from LSU. Prior to his time at LSU, Mr. Croomes taught middle school and high school band in the Austin and San Antonio areas for fourteen years, with highly successful programs at Douglas MacArthur High School and Georgetown High School where he was the director of Bands from 2011-2015. Mr. Croomes is an active adjudicator and clinician throughout Louisiana and Texas and has worked with ensembles internationally, most notably in Europe and Japan. Mr. Croomes is originally from the Houston area where his family still resides and he earned his Bachelor of Music Education from The University of Texas at Austin. Dr. Thomas Gamboa is originally from San Diego, California. He earned a Bachelor of Arts degree from the University of California, Los Angeles in Music Education and Music Performance in bassoon. He also earned a Masters of Music degree in wind conducting from Northwestern University where he studied with Mallory Thompson and a Doctor of Musical Arts degree in wind conducting from the University of Michigan where he studied with Michael Haithcock. Gamboa was a conductor for the United States Air Force Band where he held the rank of Captain and served active duty as the Conductor and Commander of the United States Air Force Band at Robins Air Force Base, Georgia. He later served as Associate Conductor and Flight Commander of the U.S. Air Forces in Europe Band at Ramstein Air Base, Germany. He earned his commission from Officer Training School, Maxwell Air Force Base, Alabama in February 2011. As an educator, Gamboa taught in the Los Angeles Unified School District at West Adams Preparatory High School in inner city Los Angeles as the Instrumental Music Director and Music Department Chair. He was also an instructor for the National High School Music Institute in the areas of conducting and chamber music, in addition to his duties as Assistant Conductor for the NHSMI Wind Ensemble. 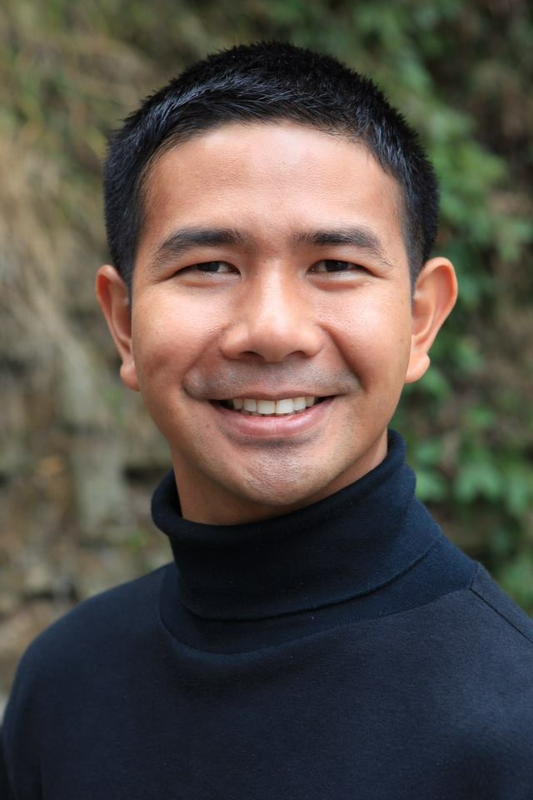 Dr. Gamboa currently teaches at the University of Cincinnati College-Conservatory of Music holding the position of Assistant Professor of Music and Assistant Director of Wind Studies. At CCM, he serves as the director of the Wind Ensemble, teaches undergraduate- and graduate-level conducting courses, and supervises music education interns and student teachers. Mary Kate McNally has been the Director of Athletic Bands at Ohio Wesleyan University since the fall of 2017, where she was tasked with reviving a marching band program that had not existed at the institution since the fall of 1961. The newly formed Marching Bishops gave their premiere halftime performance in September of 2018. Prior to her appointment at Ohio Wesleyan, she earned her Masters of Music in Conducting from Kent State University. In 2016, she was the recipient of Kent State's Wayne D. Gorder Graduate Student Award as well as a CBDNA Mike Moss Conducting Grant. Following her graduation in May of 2017, Mary Kate spent a year as an adjunct faculty member at Kent State working with the University Band, a platform she used to expose audiences and student musicians alike to the works of underrepresented composers. A native of Colorado, Mary Kate previously served as the K-12 music teacher at Deer Trail School District, where she was responsible for teaching all levels of general music, band, choir, and guitar. Mary Kate earned her Bachelor of Music Education from Henderson State University. She is a member of NAfME, OMEA, CBDNA, and is an honorary member of the Alpha Gamma chapter of Tau Beta Sigma. 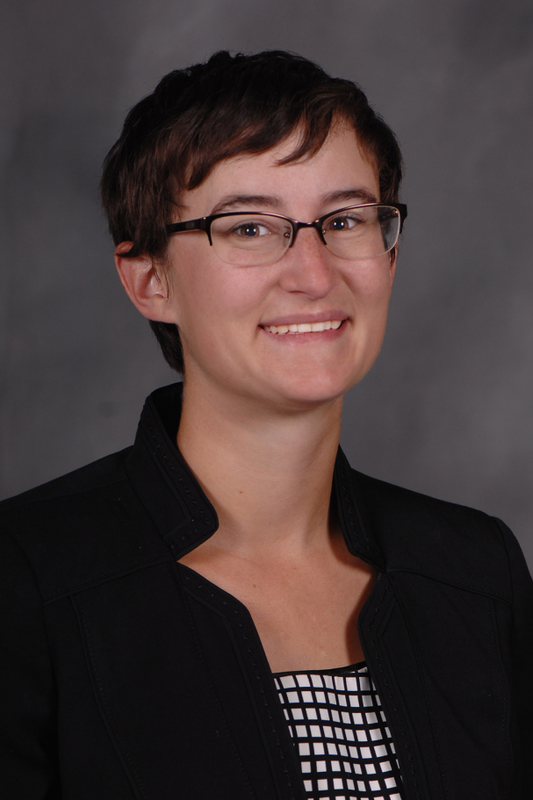 Dr. Courtney Snyder is Associate Director of Bands and Assistant Professor of Conducting at the University of Michigan where she directs the Concert Band, teaches conducting, and directs the Michigan Youth Symphonic Band. Under her direction, the Concert Band was invited to perform at the College Band Directors Association North-Central Division Conference. Previously, Snyder served as the Assistant Director of Bands and Director of Athletic Bands at the University of Nebraska-Omaha. While in Omaha, Snyder was Music Director for the Nebraska Wind Symphony, which also under her direction, was invited to perform at the Nebraska State Bandmasters Association Annual Conference. Snyder is published in The Instrumentalist, Music Educators Journal, several volumes of Teaching Music Through Performance in Band, School Band & Orchestra Magazine, and Association of Concert Bands Journal. She earned 2nd Place of the 2017-2018 American Prize in Conducting, Band/Wind Ensemble Division Competition and was awarded the “Citation of Excellence” award by the National Band. Prior to directing college ensembles, Snyder taught high school and middle school band and orchestra in the Michigan public schools. She is President-Elect of Women Band Directors International. Ogechi Ukazu is currently the Visiting Instructor of Instrumental Music at the University of Mary Hardin-Baylor in Belton, Texas. Prior to this appointment, Ms. Ukazu spent 10 years as a Band Director in both middle and high schools in the Houston area. She holds a Bachelor’s Degree in Music Education from the University of Houston and a Master’s Degree in Conducting from Sam Houston State University. In 2011, the Claughton Middle School Symphonic Band, under the direction of Ms. Ukazu, performed at the Midwest International Band & Orchestra Clinic. Ms. Ukazu is an avid proponent of quality music education for all students and has presented on music education advocacy at workshops and clinics around the state of Texas. Dr. Tonya Mitchell is the Assistant Director of Bands and Associate Director of Athletic Bands at the University of South Carolina. There, she assists with the Carolina Band, directs the women’s basketball band, and conducts the University Band. Dr. Mitchell also teaches courses in the music education department and oversees student teachers. Dr. Mitchell received her Bachelor of Music Education degree with a minor in wind conducting from Indiana University where she was also drum major of the Marching Hundred. She holds a Master of Music Education degree from the University of Georgia, and a Doctor of Musical Arts in Wind Conducting degree from the University of Kansas. Dr. Mitchell is a frequent adjudicator, clinician, and speaker. As a proponent of new music, she led the consortium and premiere of Aaron Perrine’s Beneath a Canvas of with the University of Kansas Wind Ensemble to complete her doctoral studies. Her research on Joan Tower’s Fanfares for the Uncommon Woman is published in the Alta Musica journal; she also presented this research at the International Society for the Promotion of Wind Band in Oberwölz, Austria. Additionally, Dr. Mitchell serves as New Music Editor for the Women Band Director’s International Journal. As a champion for women in music, she was honored to speak in the 2018 Tau Beta Sigma Women in Music series. Anya Pogorelova is the Director of Bands at Bishop Lloyd Middle School in Lloydminster, Alberta, Canada. She holds a Master of Music in Wind Band Conducting from Georgia State University, where she studied with Robert J. Ambrose and Chester B. Phillips; and a Bachelor of Music in Music Education with high honours from the University of Saskatchewan. At Georgia State University, Anya served as assistant conductor of the Symphonic Wind Ensemble, Wind Orchestra, and Concert Band; taught basic and instrumental conducting courses; and assisted with the 225-member marching band. In addition, she was a band director at the Charles R. Drew Charter School, and the assistant conductor of the Metropolitan Youth Symphony Orchestras of Atlanta. As a performer, Anya has played principal percussion with the National Youth Band of Canada, the University of Saskatchewan Wind Orchestra, and the Saskatoon Youth Orchestra. She has also performed with the North Saskatchewan Wind Symphony, the Saskatoon Symphony Orchestra, and the Strata New Music Festival. As a clinician, Anya has had the pleasure of working with many outstanding groups across Western Canada, and has presented professionally at the Saskatchewan Music Conference.